Everything you need to repair your books- from tutorials and tools to experts to do it for you! A Copy of the front cover is attached to the cover of the Wrapper. This is a good idea for delicate items that can’t take a lot of handling at a book fair. You will receive a copy of my published article: "Broken Book Options: Repair, Conserve or Restore?" ~ Inner Hinge Repair when only one hinge is broken. 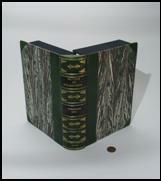 ~ New Cloth Spine for Book with Inner Hinges Intact. ~ What is Red Rot? 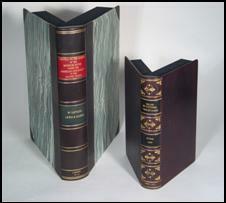 ~ What is the difference between Book Restoration vs Conservation? ~ More on using Archival Tape. ~ Will repairing a book destroy the value? ~ How to Deodorize Smelly Books.